Byers & Anderson’s court reporters rank among the most highly qualified reporters in the State of Washington and participate in continuing education to constantly improve their skills in order to provide cutting-edge technology to both local and out-of-state clients. Barbara Castrow began her court reporting career by joining Byers & Anderson, Inc., in May of 1986. She has continually taken classes to hone her skills and keep up with ever-changing technology. She has realtime writing capabilities and holds the Certified LiveNote Reporter designation. She has also passed the Washington Court Reporters Association examination and the National Court Reporters Association Registered Professional Reporter and Registered Merit Reporter examinations. Barbara really enjoys working with long-time Byers & Anderson clients as well as the opportunity to continually meet new people from all over the country. She prides herself on being a hard worker and doing the best job she can for her clients. When she’s not working, Barbara spends a lot of her time volunteering at her daughter’s school and in the community. She enjoys reading, traveling and most of all spending time with her husband and daughters boating in the San Juan Islands and Canada. Valerie has worked through Byers & Anderson, Inc., since obtaining her Certified Court Reporters certification from the State of Washington in 1997. She attained her Registered Professional Reporter certificate in 2001. Valerie’s friendly personality combined with her outstanding professionalism makes being one of Byers & Anderson’s top reporters appear effortless. Outside of her court reporting hours, she works with her husband on rental homes that they own and maintain and is a busy mother of an elementary school age daughter and son. Teri believes it’s critical to provide the newest technology to her Byers & Anderson clients and is happy to show them one-on-one what is current in the field of court reporting. Bring your iPad to your next deposition, and let her demonstrate the app that gives you realtime on your iPad. With years of continuing education, she has earned many certifications through the National Court Reporting Association to provide the most accurate transcripts, including realtime reporting and same-day rough drafts. Teri is passionate about volunteering in her community, is a cheer coach at Auburn Mountainview High Shool, and her favorite cheerleader is for sure her daughter, Taylor, although her brand new daughter, Brielle, seems to be taking up quite a bit of her time lately! Katie Eskew earned her BBA in business administration then started court reporting school in Southern California while working for her family’s business. 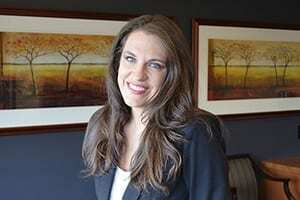 The family relocated the business to New Mexico and Katie completed her court reporting studies there. She passed the state test in 1994 and began her court reporting career. 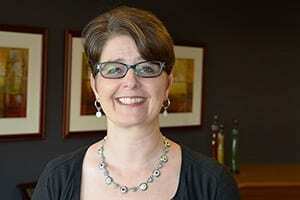 In 2001 she decided to move to Washington state and has been with Byers & Anderson ever since. For several years she was a regular pro tem for a judge in Pierce County Superior Court. Having worked in courtrooms, public hearings and deposition settings, she has acquired broad experience that she brings to each job. Every transcript she produces is completed with attention to detail and customer service second to none. Katie maintains her certification in New Mexico and Washington states. This certification includes annual continuing education to keep up with the latest in technology and court reporting skills. When not working Katie volunteers her time as an accompanist for several choral groups in the area and enjoys cooking, entertaining and traveling with her husband, Eric. Christy Sheppard began her reporting career in 2000 after completing the court reporting program at Green River Community College, and she began her career with Byers & Anderson in 2003. Christy obtained her Registered Professional Reporter certification in 2004. This is a second career for Christy. Her prior work experience was with a Fortune 500 laboratory and biotech firm as well as the airline industry where she worked as a manager in human resources, legal, and labor relations departments. Christy uses her varied background of knowledge and experience to assist in her reporting and deposition work. You will find it a pleasure to work with her. She has a cheerful, positive, can-do attitude and will always go the extra mile to ensure that our customers and clients are happy with our service. 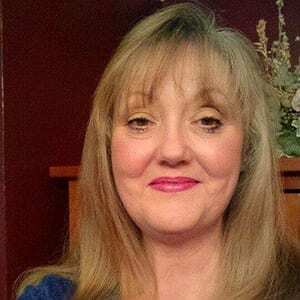 In her spare time she enjoys traveling, crafting, outdoor activities, racing (cars and ATVs), and spending time with her family, including her two grandkids. John attained his Washington State Certified Court Reporter certification in October of 2003, and has enjoyed reporting through Byers & Anderson since April of 2004, following an internship with the firm. 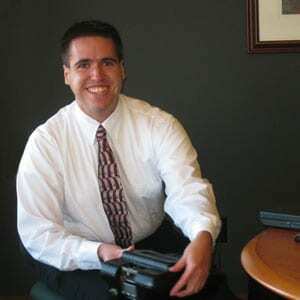 His credentials also include an Associate of Technology degree in court reporting. In addition to being a proud member of the National Court Reporters Association, John has achieved his Registered Professional Reporter (RPR) designation and is an Ethics First participant. Knowing the unique and often complex challenges with which court reporters are faced, he maintains a keen interest in the myriad of training and educational opportunities available in our field. John is a reporting member of the Society for the Technological Advancement of Reporting (STAR) and is skilled in the use of CaseViewNet technology. Over his career, John has created the record in a variety of settings, including depositions, hearings and conferences/meetings, as well as in the courtroom. This has allowed him the privilege of building professional working relationships with many longtime clients. As a lifelong resident of the Tacoma area, John enjoys spending his leisure time with extensive local family and friends, traveling, and developing his culinary skills. 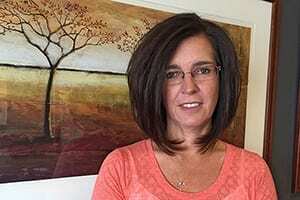 Kristine Murphy received her Washington State Court Reporter Certification in October 2013. She has been in the freelancing world ever since, and excitedly became part of the Byers & Anderson team in 2015. Kristine has a hunger for learning and stays up to date with the fast-moving technological advances of her profession. She attends yearly seminars, workshops and also enjoys helping student court reporters with software and transcription questions. 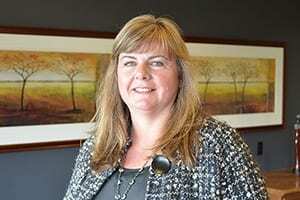 In her free time, Kristine likes to hike, ski, cook, take road trips, and spend time with her son, family and friends. Michelle Elam graduated from Metropolitan College of Court Reporting in 2001 and obtained her Registered Professional Reporter certification in 2006. She worked in Arizona for 13 years as a freelance court reporter and then her family moved to the Seattle/Tacoma area in 2014. Michelle is a member of the Washington Court Reporters Association (WCRA) and the National Court Reporters Association (NCRA). When she is not working, Michelle enjoys spending time with her husband and daughter, reading, hiking, and fishing. 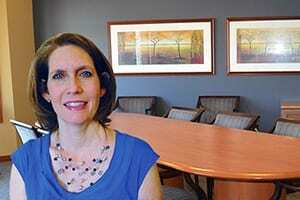 April Cook has two main career interests, medicine and the law. After spending the early part of her career working in the medical field as an occupational therapy assistant, a skill she learned in the U.S. Army, April decided a change was in order and decided to turn to the legal field and the profession of court reporting. She graduated from Green River Community College’s court reporting program in 2011 and immediately went to work as a freelance reporter. She joined Byers & Anderson in 2016. April is a huge fan of our Seattle sports teams and loves to talk football. She plays volleyball and softball, loves to garden, and most especially enjoys spending time with her son and her sister. Valerie received her court reporting education through Green River Community College before joining the Byers & Anderson team. While attending continuing education seminars on an annual basis, she continues to grow in the latest technology and court reporting skills. Valerie enjoys working with Byers & Anderson’s clients and wants nothing more than to accommodate their needs in a professional manner and to do the best job possible. She brings with her a cheerful and positive attitude and is known for her hard work. Valerie began her professional career as a legal assistant, so court reporting was a natural second phase of her work in the legal field. Outside of court reporting, she assists in the construction company she and her husband have owned since 1980. When she’s not working, her favorite things to do are spending time with family and friends—especially her three grandkids. She enjoys music, hosting, shopping, and gardening. 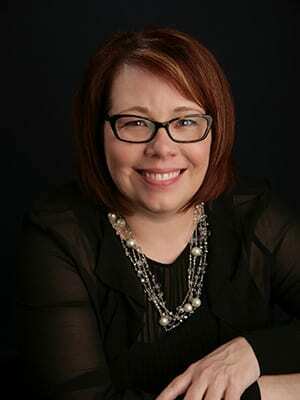 Tracey joined the Byers & Anderson team immediately following her court reporting education at Green River College. She attained her Registered Professional Reporter (RPR) designation in 2017, and is a State of Washington Certified Court Reporter (CCR). Tracey is a member of the National Court Reporters Association (NCRA), as well as the Washington Court Reporters Association (WCRA). 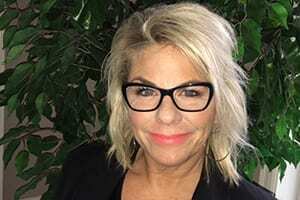 She attends yearly conventions and enjoys promoting the field of court reporting through career fairs and other venues that actively encourage new students, such as the Discover Steno video with NCRA and the Career Outreach video with WCRA. When she’s not working, Tracey likes to be outdoors, entertain family and friends, listen to music, and travel with her family, including her grandson, Jackson. She also adores her cat, Mocha. In 1997, Ann Marie Allison started reporting with Byers & Anderson right out of court reporting school, having obtained her CCR and RPR certificates. She then went on to become a court official in Pierce County for 13 years, with a four-year stint in the North Carolina courts as well. Ann Marie is a single mother of a 12-year-old daughter, and in her spare time she enjoys spending time with family and friends, attending small venue music events, taking in movies, but most of all consuming coffee!